Urim Books in CBA International Convention in the U.S.
Urim Books delivers the light of life of the Lord to the world. They participated in CBA International Convention held in Nashville, Tennessee, USA from July 9 to 11 in 2018. Christian Booksellers Association (CBA) is a united organization of approximately 1,400 Christian publishers and bookstores in 150 countries. It annually holds its convention to exchange information and make business agreements with Christian book publishers, distributers, and promoters from all around the world. Urim Books distributes Dr. Jaerock Lee’s books to well-known bookstores all over the world that contain the messages he received from God in the Spirit’s inspiration by myriad times of fasting and prayer. He has published 112 books in total including The Message of the Cross that explains God’s love and the providence of salvation, Heaven, Hell, and Spirit, Soul & Body. Many of the books have been translated into 61 languages, and now there are 486 versions of the books in multiple languages. There are also 522 editions in 58 languages in total available in the electronic format. Urim Books displayed 38 books in English and 24 in Spanish including Dr. Lee’s autobiography My Life My Faith that has been published in 40 languages in the booth. A video was presented that introduces Dr. Lee’s books. 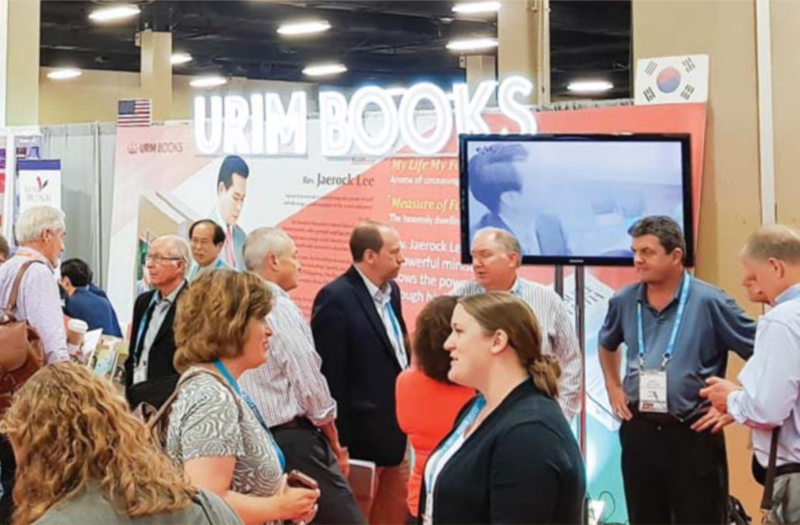 In this convention, Urim Books made agreements of partnership with publishers in the U.S., Malaysia, and India and signed MOU about book distribution and publication with Manna Christian Bookstore in New Zealand and 3.16 Publishing House in the Netherlands.